This exhibition celebrates avant-garde artists–—including the legendary Henri Toulouse-Lautrec—who were living and working at the center of the artistic and cultural scene of Paris at the turn of the last century. Through a variety of paintings and other materials, visitors will explore the nightlife of cabaret theaters, elaborate circus performances, and intimate café concerts that helped to define Paris as an iconic modern city. Drawn from prestigious private collections, the artworks in this exhibition were made by a generation of artists who battled against the formality of Academic art standards, rebelling against the styles of Impressionism and Post-Impressionism espoused by artists like Georges Seurat, Paul Gaugin, and Vincent Van Gogh. In addition to paintings by Henri Tolouse-Lautrec, Mary Cassat, Paul Heleu, Juan Gris, and Pierre Bonnard, special attention is given to small groups of artists –the Nauralists, the Symbolists, the Incohérents, and the Nabis—who offered new visions for life and society during this era that has been popularly coined the fin de siècle. 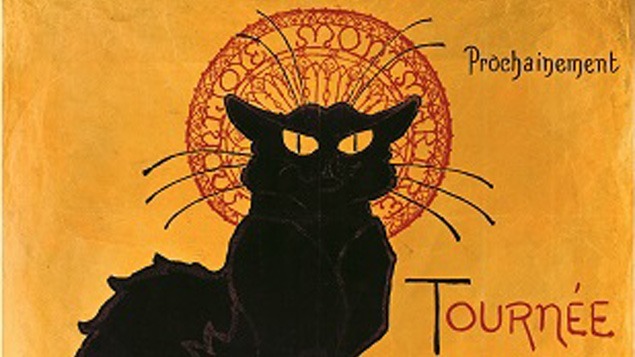 The exhibition includes over 185 objects, ranging from paintings, watercolors, and drawings, to rare cabaret shadow puppets, illustrated theater programs, and archive and ephemera materials from Parisian theaters, circuses, and concerts. His Excellency Francois Delattre, Ambassador of France to the United States of America, is Honorary Patron of the exhibition.